Get a delicious, refreshing pick-me-up to help keep you going throughout your day with this tasty blend of real coffee and whey protein. Without as much sugar found in many flavoured coffeehouse drinks, High Protein Iced Coffee is an ice-cold, nutritious snack to refresh any moment of the day. Stay on top of your game. Brazilian Herbal Tea’s blend of guarana, orange pekoe and lemon peel provide a delicious pick-me-up any time of the day. Guarana, paullinia cupana, has been used for centuries by the Amazon Indians. 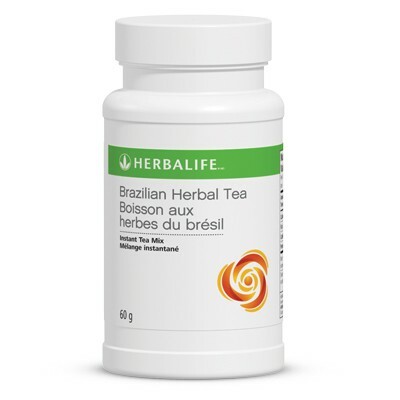 Drink Herbalife Brazilian Herbal Tea anytime for a refreshing beverage. Please note this product is not decaffeinated. 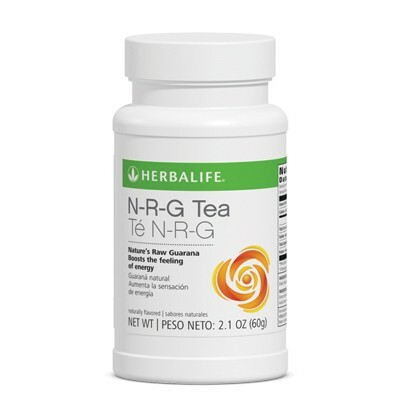 Hot or cold, this zesty yet gentle tea is a natural pick-me-up. 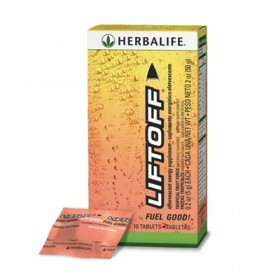 Infused with guarana, which increase mental alertness and help maintain energy. 0 sugar, 0 calories, 1 carb. Individually packaged tablets for on-the-go lifestyles. Mix ½ scant teaspoon (1 g") with 180 ml hot or cold water.